Apple CEO Tim Cook has been steering the company toward original content since 2014, back when Netflix still cost $7.99 a month, the Wall Street Journal reports. With such a long lead up to this official announcement, it’s a little surprising that there are still so many unknowns about the service, chiefly how much it will cost. The company intends to invest $1 billion per year in original content. That’s a lot, but still well short of Netflix’s 2018 $12 billion content budget, Amazon’s $5 billion, and Hulu’s $2.5 billion. Even HBO outspends Apple at $2 billion a year. What’s more, Apple enters the market at a time when, according to one analysis from Deloitte, 70 percent of TV streaming subscribers already feel like they’re paying too much for what they get out of their subscription. Assuming TV+ will be a similar $10 month to Apple’s music and news services, how will it get us to cough up for another subscription? Unlike Netflix (throw a ton of stuff at the wall and see what sticks), Amazon (pay for big-name IP), and Hulu (license the shows you already love), Apple is going all-in on star power, with some of the biggest names in the industry leading exclusive projects with the tech giant. 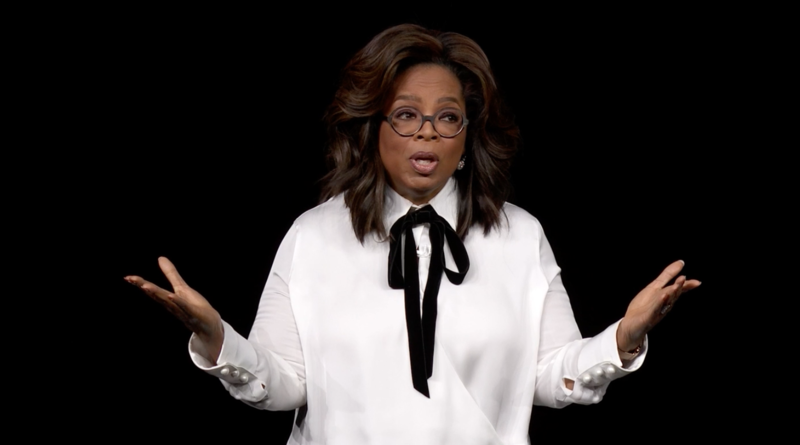 To wrap up its original content announcements, Oprah Winfrey unveiled three new projects with Apple. There will be a documentary about workplace harassment called “Toxic Labor,” a series on mental health, and “the most stimulating book club on the planet,” where she’ll sit down with authors for in-depth conversations. “The Apple platform allows me to do what I do in a whole new way,” Winfrey said. 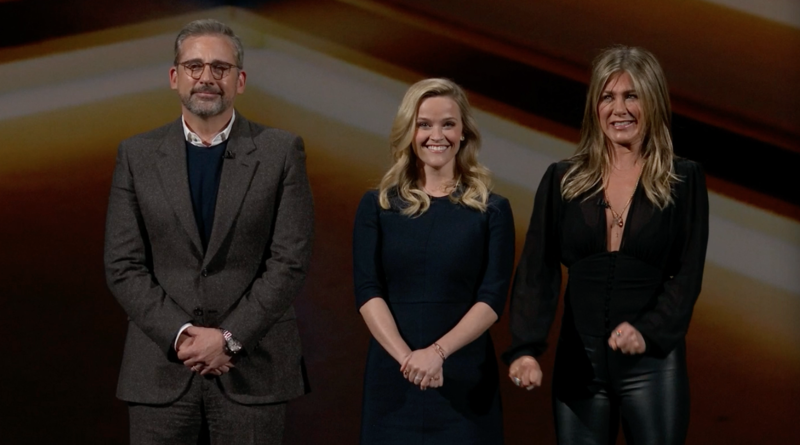 “The Morning Show” starring Jennifer Aniston, Reese Witherspoon, and Steve Carell will “pull back the curtain on the power dynamics between men and women in the high-stakes world of morning news shows.” Kerry Ehrin, who’s produced such classic shows as “Friday Night Lights” and “The Wonder Years,” will be the showrunner. “Little America” from Kumail Nanjiani explores true stories of immigrant life. “When people defend immigration, they focus on the exceptionality of immigrants. … While those stories are inspiring and valuable, we wanted to focus on the immigrants doing everyday life stuff,” Nanjiani said. J.J. Abrams and Sara Bareilles debut “Little Voice,” a 10-episode romantic drama set in New York City that focuses on the ups and downs of a musician trying to find their authentic voice. Where Can You Stream Apple TV+? When it’s released in the fall, Apple TV+ will be streamable almost everywhere: Samsung, LG, Sony, and Vizio smart TVs, and streaming devices like Amazon Fire TV, Roku, and of course, Apple TV. Notably absent? Google’s Chromecast, which seems to miss an invite to almost every streaming dance. One thing Apple TV+ does concretely improve upon: Everything in its library will be available to download for offline viewing, improving airline travel immeasurably. Currently, Netflix and Amazon provide this option, but only on select content. (Hulu is reportedly working on it.) Apple TV+ will also offer family sharing, although the specific number is still unclear. Until we know how much this will actually cost, it’s hard to say whether Apple TV+ will be worth subscribing to. But my initial impression? Apple loaded up on a lot of post-prime stars — no disrespect to the man who directed “Jurassic Park” and “Schindler’s List” in the same year — instead of investing in exciting and emergent voices. There’s a chance one of these will capture the zeitgeist a la “Game of Thrones” and pay off big time for Apple. But for the moment, I’m skeptical.